I love cupcakes, I love baking but trying to get them to look delicious and presentable once I have slapped some icing on the top is nothing short of a miracle so when the lovely folk at Hey Little Cupcake invited me to bring the girls down for a cupcake decorating class we couldn’t resist. Based in Spinningfields Hey Little Cupcake is the perfect place to unwind and indulge in your sweet tooth. Not only do they have the most amazing cupcakes on sale but you can also stop and have afternoon tea, order a birthday cake or even host the whole party there. So after a spot of Pokemon hunting around the city centre (Manchester is full of Pokemon!) 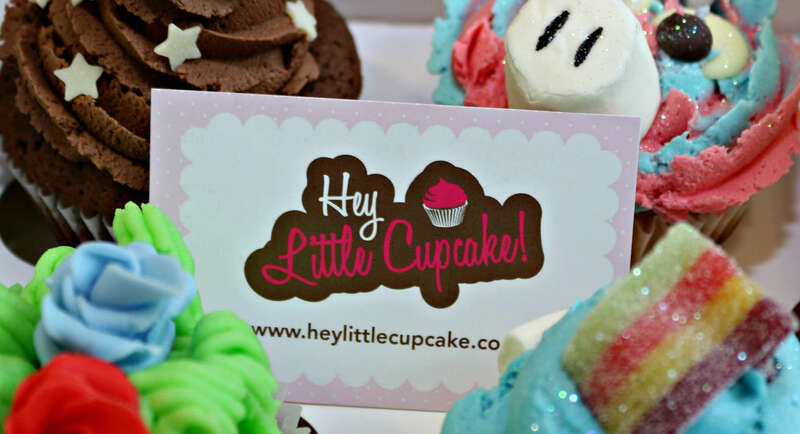 we headed into the bright and colourful Hey Little Cupcake shop to learn some cupcake decorating skills. Hey Little Cupcake host a variety of classes available for adults and children. The kids class costs £15 and includes 4 take home cupcakes and a complimentary drink for the kid and a grown up and the class lasts for around 1 hour. We took part in a kids class to see how it would work. We were taught how to decorate four different cakes in very different styles. The first cake we were taught to decorate is the garden cupcake that involved making sugar paste roses and using a grass nossle to create the butter cream decorations. Next up we decorated a chocolate surprise cupcake that had an oreo baked in to it. The chocolate butter cream was put on using a star nozzle and the girls then decorated the cupcake with small white stars. The cupcake the girls enjoyed decorating the most was the unicorn. We used sugar paste to create the unicorm horn, a marshmallow for the nose and white chocolate buttons with chocolate drops for the eyes. The butter cream was put on with the rose nozzle and was vanilla flavoured with half pink and half blue which gave a great look to it. They then sprinkled the cakes with edible glitter to give them a lovely shine. The final cake that we made was a rainbow cupcake which featured a sour candy rainbow and mini marshmallows on a soft blue icing cloud. When you consider that a cupcake at Hey Little Cupcake is around £2 to £2.50 then the fact that the kids who take these lessons get to take home four cupcakes and enjoy an hour long lesson for just £15 is amazing. We had an absolutely fabulous time and the girls were so proud of the cakes that they made. I have seen that Hey Little Cupcake also host childrens parties where all the kids can decorate cupcakes and have a great time and I think this would be perfect for the girls as they get older. I would highly recommend the kids cupcake decorating class and we will certainly be going back for afternoon tea soon! Next Post:Poppit Pop ‘n’ display bakery – easy to make, fantastic to look at. This looks like so much fun, I fear my boys wouldn’t be quite so neat!